New cube runes can soon appear on the snow in Fortnite: Battle Royale. Data miners have spotted new runes in the v8.40 update game files that are very similar to the ones the giant purple cube Kevin burned onto the ground in season five. These symbols are called “Snow_Runes” in the game files, which might mean that this time they’ll appear in the snow biome southwest of the map, instead of in areas around the center like they did last time. Unlike when players saw seven cube runes in season five, this time it seems that there will be only five. 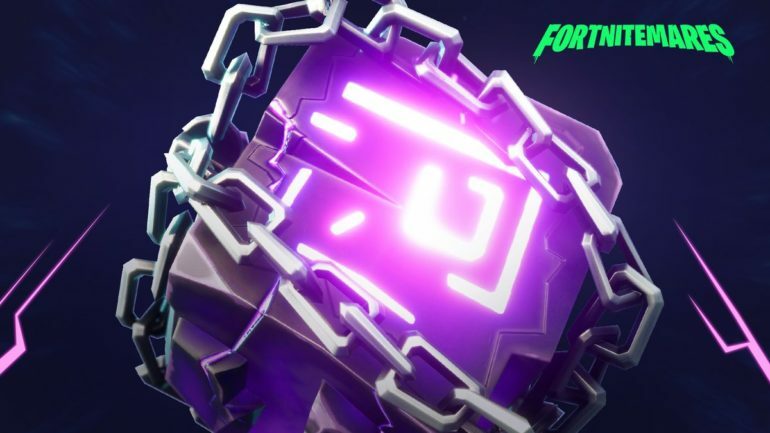 Though we know these runes are in the game files now, data miners have yet to find clear evidence that it’s the cube that’s going to burn them onto the ground again. No other information found in the game files confirms that the cube is coming back, except a few audio files that sound like the cube but are far from confirming its reappearance. If the cube or something else is about to leave these runes on the ground, players can expect it to begin doing so this week. Game files are generally added to the game when they’re ready to be used, so players can expect new developments regarding runes, the snow biome, and even the Loot Lake hatch this week. Data miners have yet to find anything that indicates when these runes will appear and where they might be located in the future. While the return of the cube is uncertain, its powers and runes seem ready to be used by something or someone else.